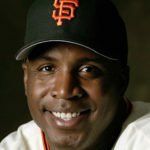 Bonds was regarded as an exceptional hitter: he led MLB in on-base plus slugging six times, and placed within the top five hitters in 12 of his 17 qualifying seasons. He holds many MLB hitting records, including most career home runs, most home runs in a single season (73, set in 2001) and most career walks. "Everyone in society should be a role model, not only for their own self-respect, but for respect from others."